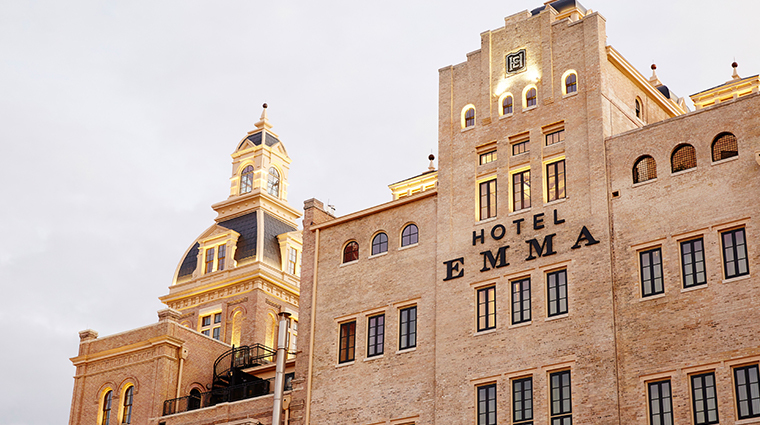 San Antonio’s new Hotel Emma in is the very definition of industrial chic. 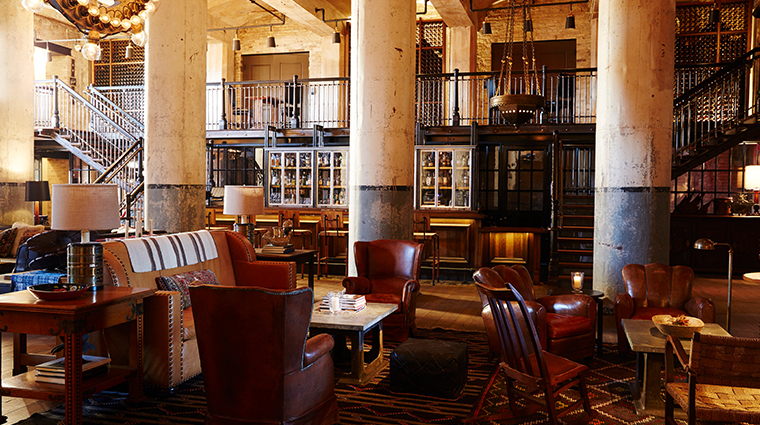 Housed in the popular Pearl neighborhood’s iconic 121-year-old brewhouse, the mid-sized hotel flaunts big-city style. 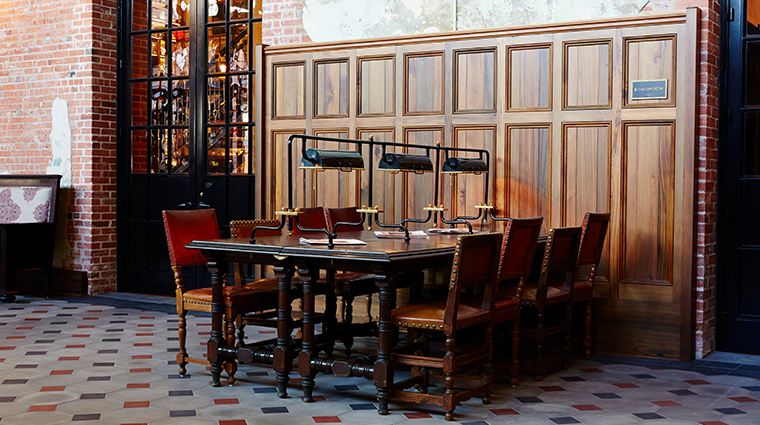 Once an abandoned brewery edged by tall chimney stacks, the urban hot spot now evokes a romantic Ellis Island-vibe welcoming travelers from faraway places who’ll pass through its doors. 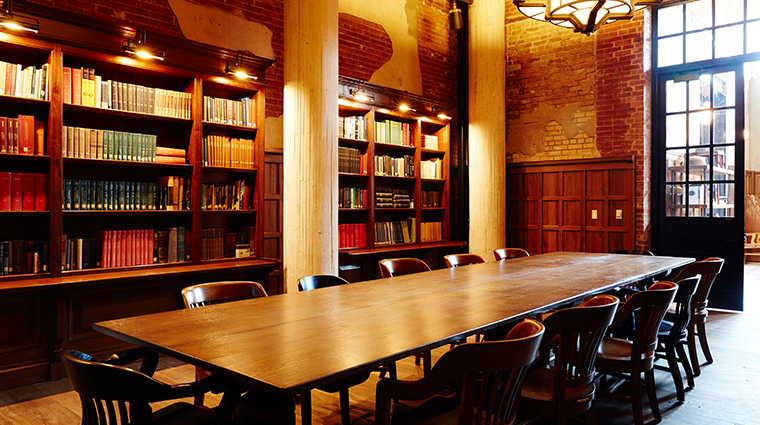 Hotel Emma’s charm befits its location. 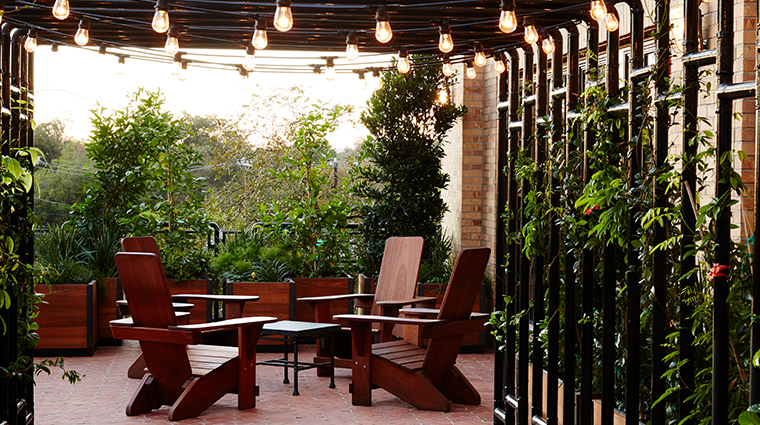 Along the San Antonio River, the Pearl area is a 20-acre enclave of repurposed and revitalized spaces. 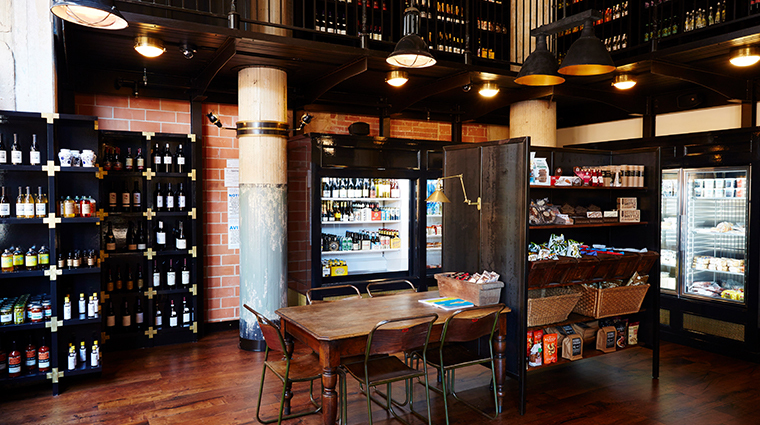 Now home to a Culinary Institute of America campus, a year-round weekend farmer’s market, bistros, bakeries, brew pubs, bars, gastropubs and more, Pearl sits on the forefront of the SA food scene. 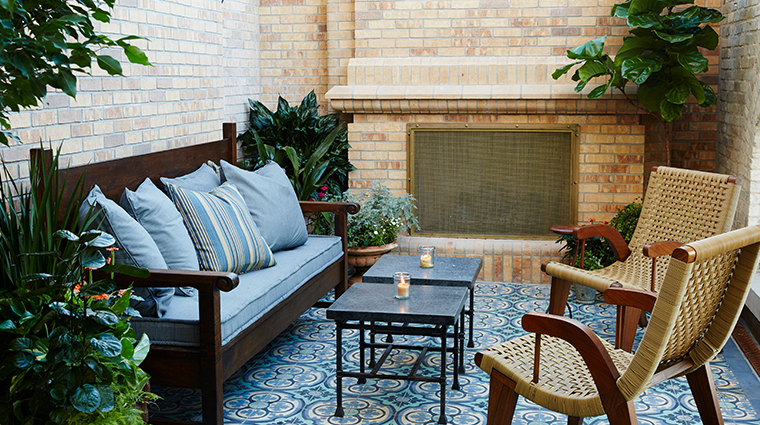 Named for Emma Koehler, wife of Pearl Brewery founder Otto Koehler (or perhaps for his two mistresses, both also named Emma), the San Antonio hotel was designed by the New York firm Roman and Williams, merging historic and modern elements within the cool industrial context of a former factory. 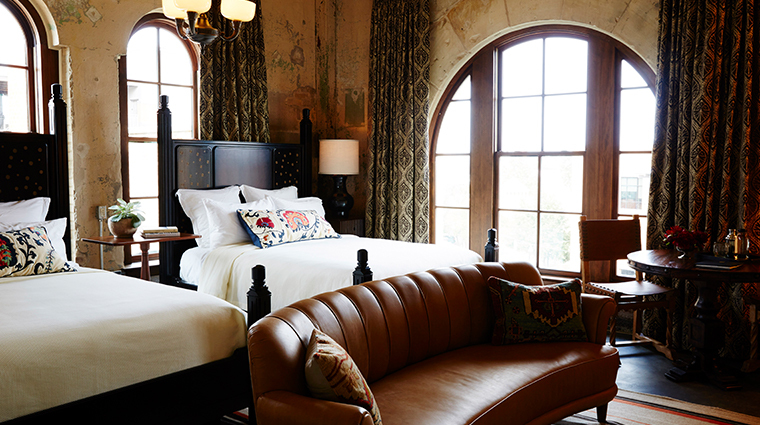 There is a patina to the hotel’s peeling plaster and exposed brick reminiscent of old maps with curling edges. There’s also a hip, stylized ambience throughout the hotel with bespoke furniture and gracious vignettes ideal for photo ops. Supper, the bistro-meets-farmhouse restaurant by chef John Brand, offers fresh, seasonal, greenmarket cuisine; a solid wine list; craft cocktails; and local microbrews. 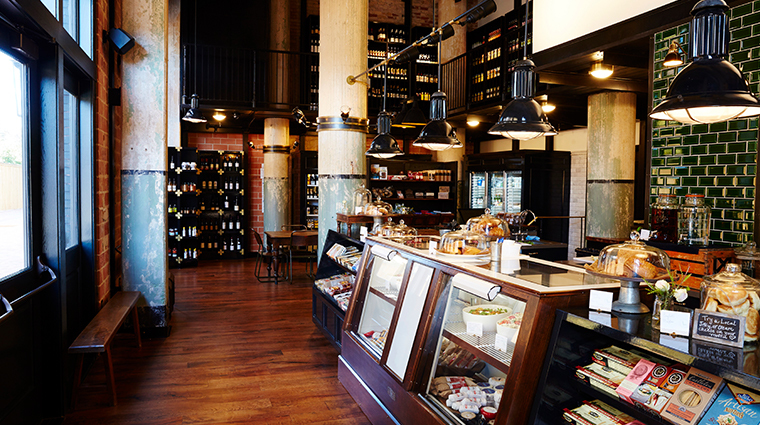 In keeping with the neighborhood, it is foodie-focused but maintains a casual ambience. 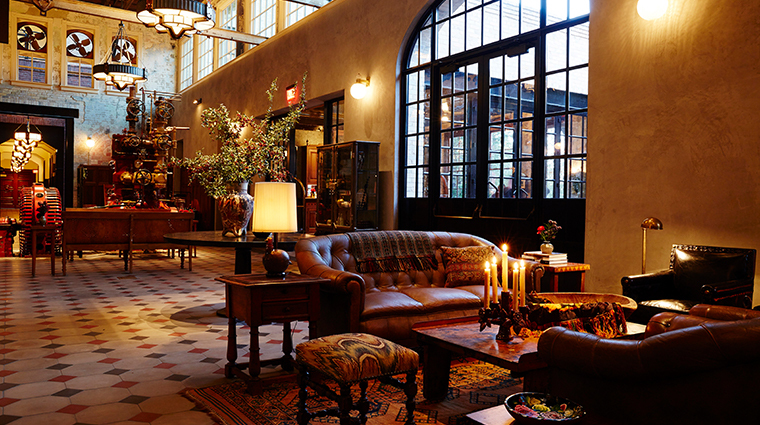 Sternewirth is a clubroom/bar that serves craft brews, bespoke cocktails and vino, alongside casual eats like venison meatballs, beef tartare and smoked dates with blue cheese and bourbon. New guests are welcomed in the Library with the hotel's signature bespoke drink, La Babia Margarita. It's an unfussy drink (just tequila, fresh lime juice and Cointreau) that underscores the Emma's simple roots. Dining at Supper means indulging in classic, elevated American dishes that are the name of the game, such as roasted chicken with market vegetables, smoked duck chowder and sticky toffee pudding with carrot jam. Along the River Walk, you can hail a river taxi downtown near the Alamo, stroll along the Museum Reach, peddle a B-Cycle rental bike or just grab a cab at the airport to reach Emma. 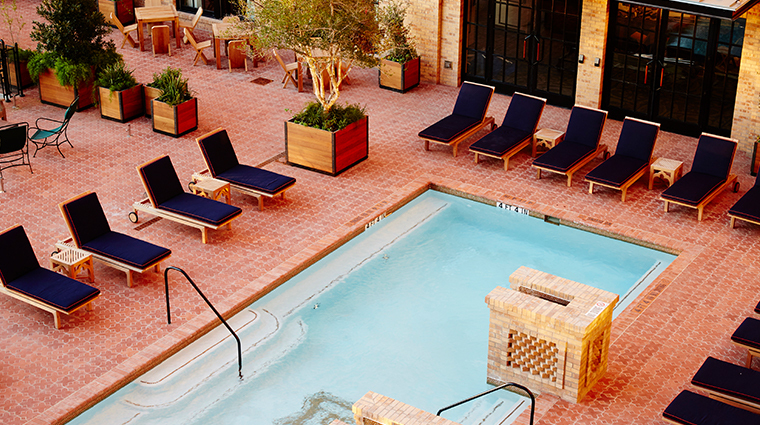 Grab a snack from Larder, the hotel’s gourmet market, enjoy locally brewed coffee in the lobby, unwind in the clubroom, or sunbathe at the rooftop pool. Then visit the San Antonio Museum of Art (in the former Lone Star Brewery), just a quick Rio Taxi ride from Pearl. 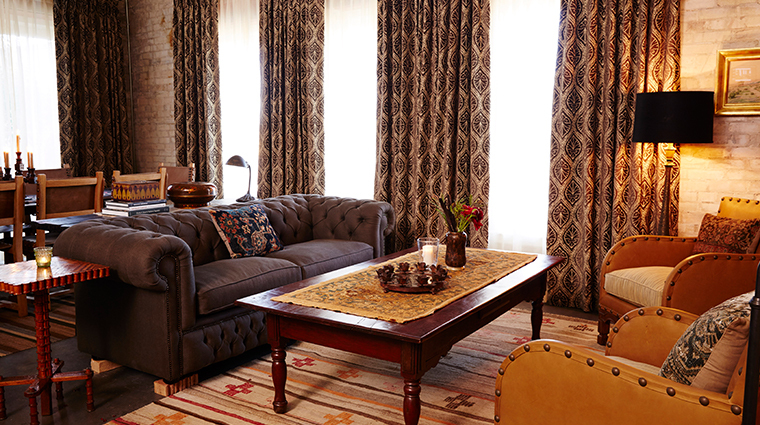 Guest rooms feature high ceilings, black-lacquered beds, rustic tables, leather chairs and locally sourced art. Bathrooms are bathed in watery blue tile, creamy porcelain fixtures, and soft seersucker guayabera-style robes. 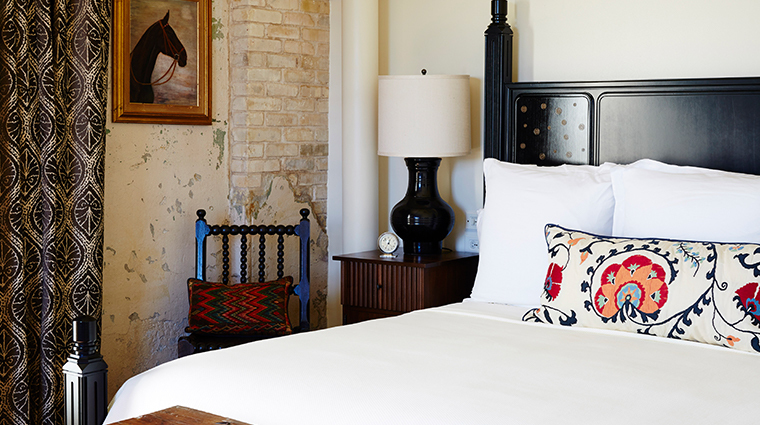 Brewhouse Tower rooms reveal exposed brick walls, concrete floors, odd architectural elements and vintage factory fixtures. 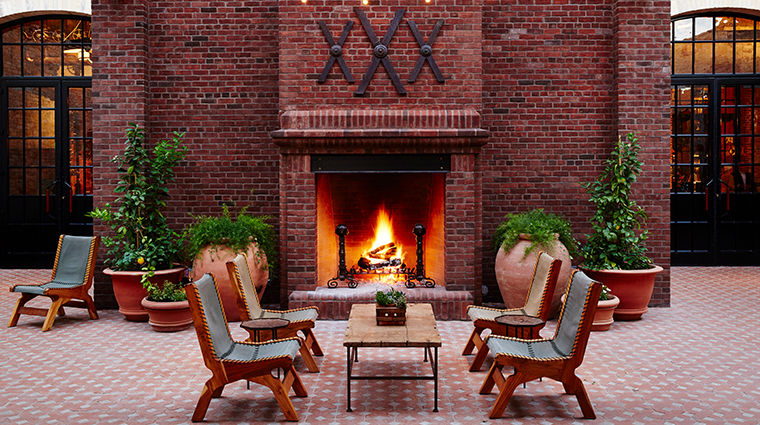 Many suites have terraces, like the 2,361-square-foot Emma Koehler Suite with its party-sized patio, grand piano, fireplaces and lofty windows with river views. 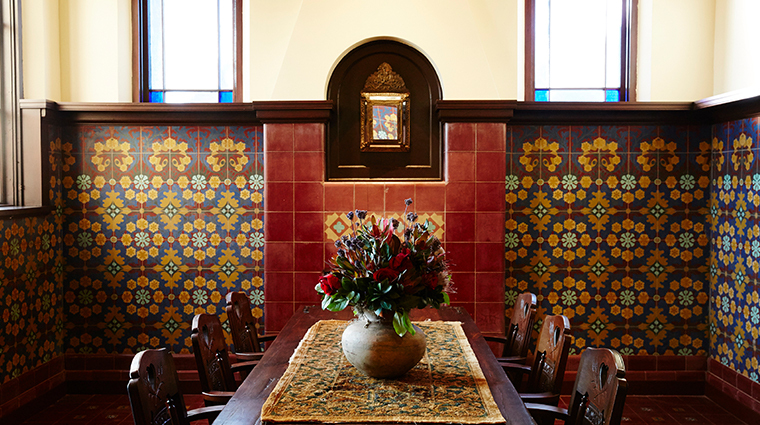 In the lobby, oversized brewery machinery and pipes stand alongside subtle South Texas design touches, like hand-tooled saddle leather wall coverings in elevators, buffalo-hide sofas in the bar and Redondo Mexican tile floors in the lobby. It feels both masculine and machinery-driven and also oh so romantic. 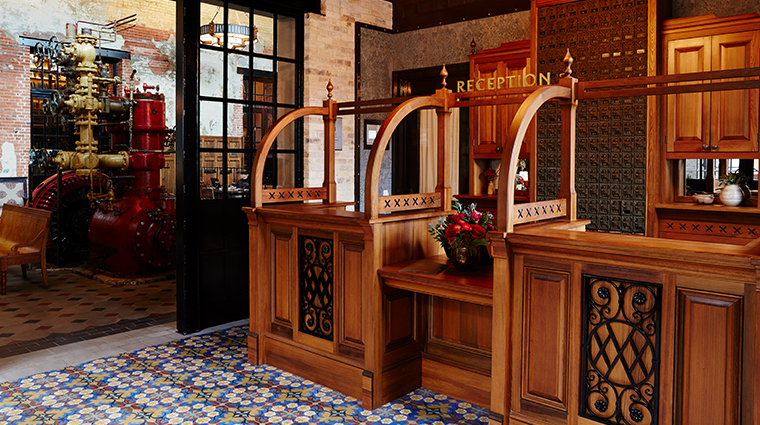 The reception area looks like the kind of place where steamer trunks should be stacked in the corner. High ceilings of exposed brick, bare beams and factory fixtures create a cavernous feel, and brewery tanks hold an attractive water feature. 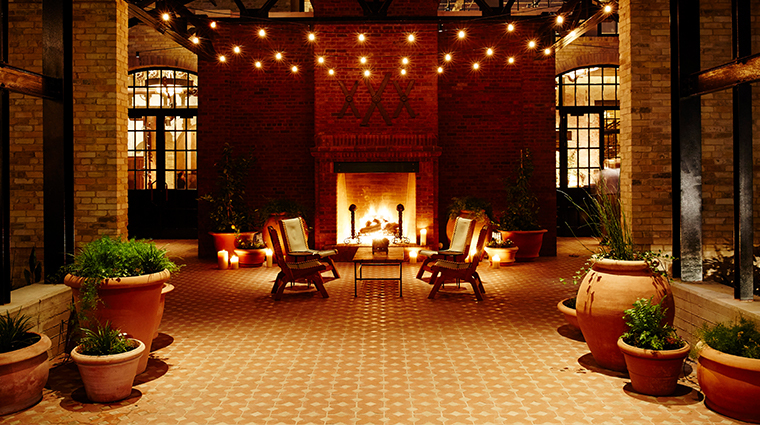 Off the lobby sits Sternewirth, with its 25-foot ceilings, intimate seating areas, and light fixtures made from beer bottling equipment. 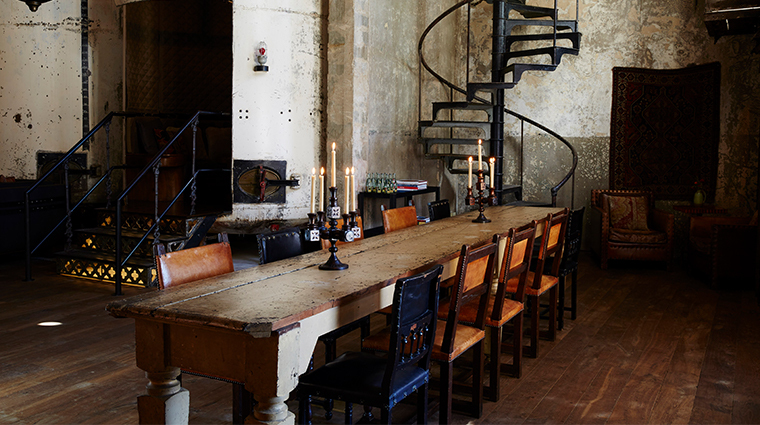 A steel staircase leads to a mezzanine level, and giant cast-iron brewing tanks hold banquette seating along one wall. 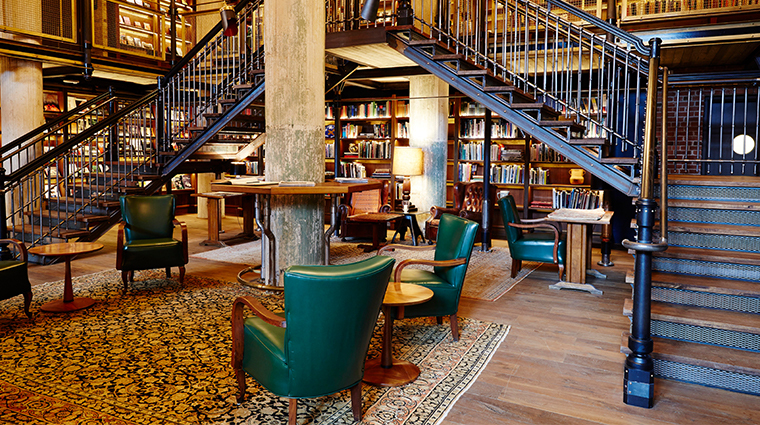 The elegantly industrial hotel is also home to a 3,700-book library.